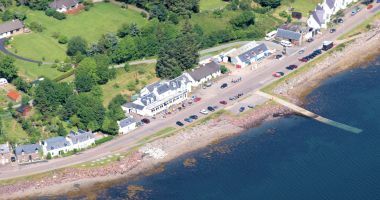 The Lochcarron Hotel is situated in Wester Ross on the west coast of the Scottish Highlands. The hotel accommodation comprises 11 bedrooms, all with private facilities and several with magnificent sea views. 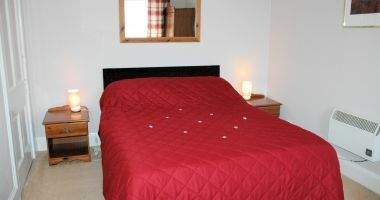 The hotel is situated just across the road from the loch and there are superb sea and mountain views. 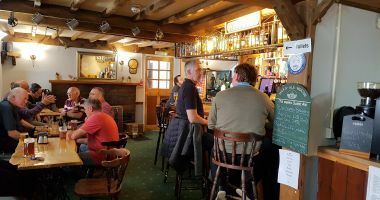 The lounge bar has a selection of real ales and some 60 single malt whiskys; there is a welcoming open fire. The hotel is open to both residents and non-residents and offers a wide choice of delicious food and drink in comfortable friendly surroundings. Seafood, locally sourced where possible, is a speciality. The hotel accommodation comprises 11 bedrooms, all with private facilities and several with magnificent sea views. 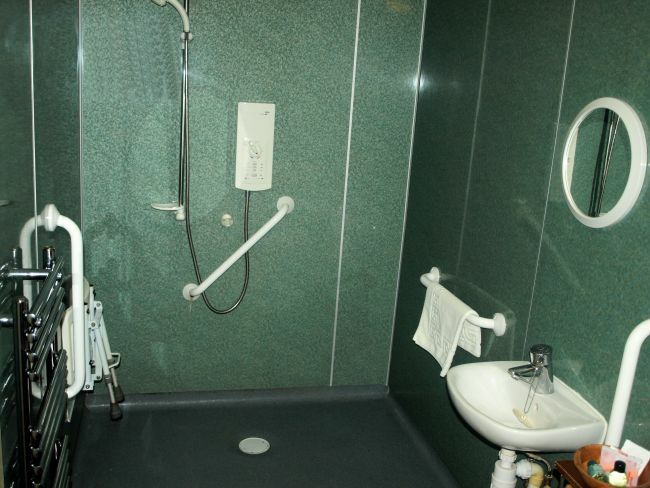 One room has disabled access with an en-suite wet room. 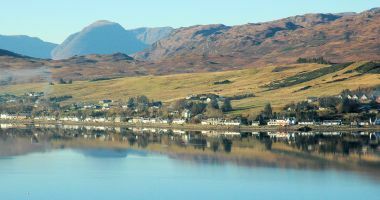 A spectacular view of Lochcarron village and the hotel as seen from the viewpoint on the south side of Loch Carron near Attadale. 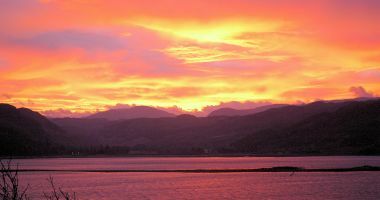 Yes, this is a sunrise, not a sunset, as seen from Lochcarron village. During the longer days in the summertime, you will need to be up and about early to see this! North Coast 500 - we are right on the route of the NC500! Meal deals - see our special offers! 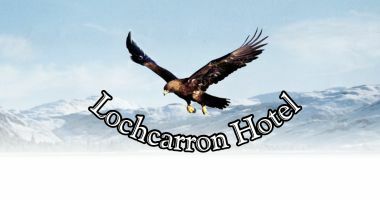 The Lochcarron Hotel is open all year round. In order to check on availability and book accommodation, please contact us. We now have free wi-fi Internet access available throughout the hotel. This is available for the use of both residents and non-residents. 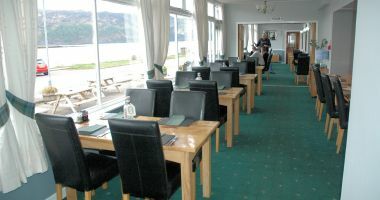 The Lochcarron Hotel regularly features live music and other events. 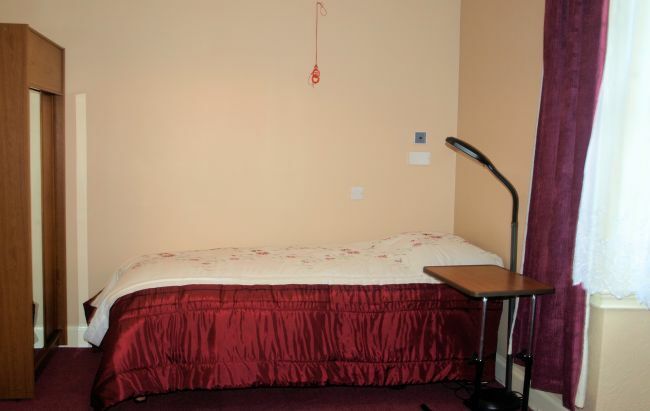 The Lochcarron Hotel has 1 bedroom on the ground floor which is particularly suited to those who suffer from limited mobility. The room has wheel chair access. 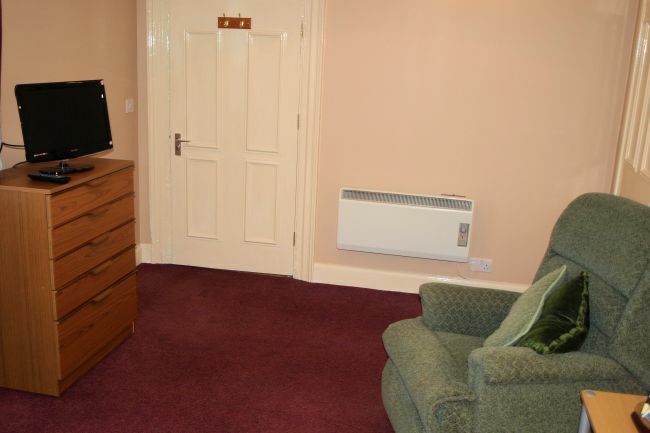 There is an adjustable bed and chair with space for an additional guest bed. There is a good sized en suite wet room. Please see our "Prices" section for details of our tariff. Please note: Whilst every effort has been made to ensure that the content of this website is as accurate and up-to-date as possible, we are unable to accept responsibility for late changes to our tariff, terms and amenities which have been made since this website was last updated. If you are in any doubt whatsoever as to what is provided or how much it will cost, please confirm with us at the time of placing your booking. Copyright © 2015/2019. 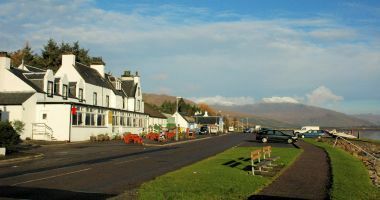 Lochcarron Hotel. All Rights Reserved.